We are an ultra modern dental clinic located along Fethiye harbour. We have three treatment rooms with two of them overlooking the stunning bay of Fethiye. Our Cosmetic Dentists and Oral Surgeons speak fluent English along with our team of Patient Coordinators so we are sure you will find us a pleasure to speak with. 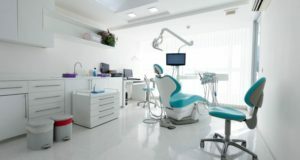 The technology is first class, similar to what you will find in a private London dental practice. We have a Panoramic X-Ray machine and advanced laser technologies to ensure your dental treatment is both safe and pain free. We believe in providing dentistry with a personal touch. We give all our patients extra long appointments so you have an opportunity to ask questions and you feel comfortable with us before proceeding with your dental treatment. We are happy for you to bring your family with you to the dental clinic (the tea & coffee is free!). We have a large reception area with free internet access, a TV and comfortable sofas. If you are a nervous patient and you would like a family member or a friend to accompany you into the treatment room we have comfy chairs in there too! We understand that most of our international patients are combining their dental treatment with a holiday. With this in mind we are very flexible in making appointments around your holiday plans. In 2015 21% of our patients were referred to us from another patient who had treatment at our clinic. This is a statistic we are proud of and proves that we provide dentistry you can’t wait to tell your friends about.